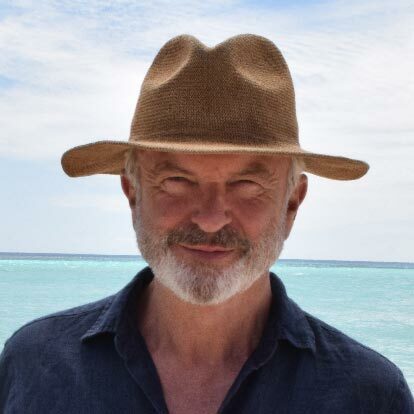 Sam Neill journeys to the largest ocean in the world 250 years after the historic Captain James Cook began his epic exploration. The Pacific is a six-part documentary series featuring award-winning actor Sam Neill. Visiting the islands and lands where Captain Cook sailed and meeting the descendants of the people Cook met, Sam Neill explores the trials and triumphs, disasters and delights that followed. Sam Neill is a New Zealand actor, writer, producer, and director. He played Dr. Alan Grant in Jurassic Park (1993) and Jurassic Park III (2001). Neill has starred in My Brilliant Career (1979), Omen III (1981), Possession (1981), A Cry in the Dark (1988), The Hunt for Red October (1990), The Piano (1993), and Sirens, In the Mouth of Madness, The Jungle Book (all 1994). Neill also appeared in the series The Tudors (2007), Crusoe (2008–10), Happy Town (2010), Alcatraz (2012), and Peaky Blinders (2013–14). Neill is the recipient of a New Zealand Film Award and a Logie Award, as well as three Golden Globe and two Primetime Emmy Award nominations.